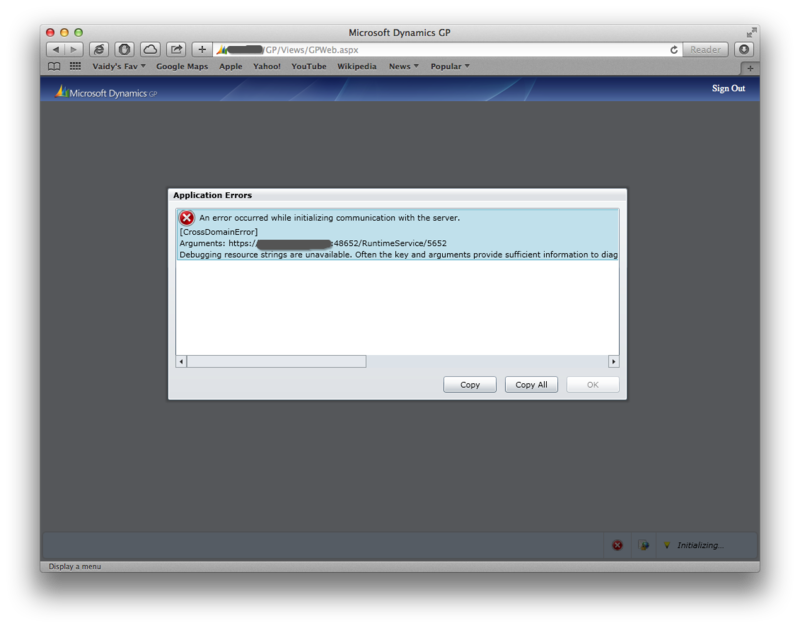 This probably would be a common error faced by many of us across the GP world, while trying to access GP 2013 Web Client. Summary: An error occurred while initializing communication with the server. There could be several other reasons for this CrossDomainError issue, but above solution fixed mine.